There is a deep sense of nostalgia and thankfulness as we look back at the ways in which God has led us in 2017. At the same time, we look forward with excitement and anticipation at what is yet to come. The past year has taught us much about trusting God, especially when the way ahead seemed impossible, and we have to admit to being slightly impatient to see how 2018 will unfold. It is such a privilege to share in the task of building God’s kingdom so that people who are often overlooked or forgotten may take their places. We are grateful for your prayers and words of encouragement that have helped more than you will ever know. Please pray that we are faithful to what has been entrusted to us and that others will come on board too. 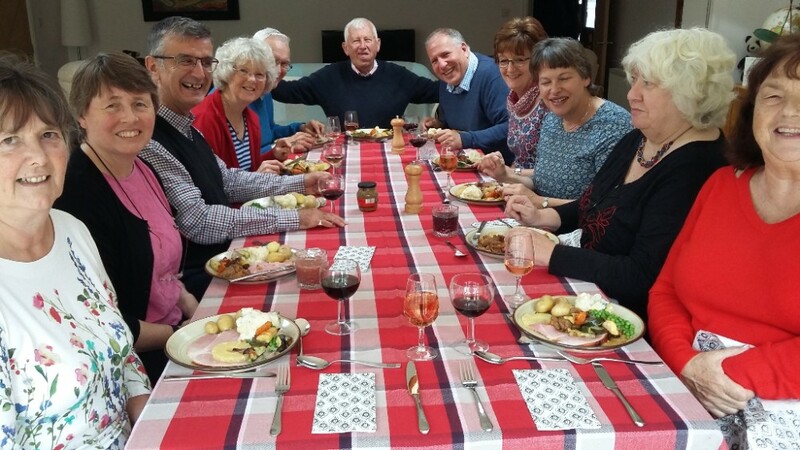 We continue to be thankful for the friendship, wisdom and prayer of our support group and we are delighted to include a photo from our last meeting. Most of them have been meeting with us two or three times a year for the past 16 years! The journey towards Count Everyone In having charitable status has just begun and we shall keep you informed. If you are fortunate enough to have a garden, yours is probably looking similar to ours; with just the faintest signs of new life, it is hard to believe that winter is vital to the health and fruitfulness of the plants. For us, the winter season is a time of preparation for what we shall be doing in the summer festivals; without planning, negotiating and writing now there will be nothing to present in the summer. We are also preparing for a number of church engagements and the new ‘Know and Grow’ training days. Please pray that we are effective and fruitful. 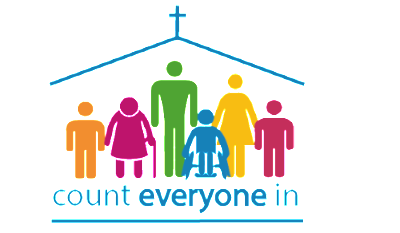 There are now six churches/groups that have signed up to be Friends With Count Everyone In. Do get in touch if you are interested. Thank you to those who have given financial support and to those who may not have felt able to give but have prayed for our needs to be met. God is good! Social media – See www.counteveryonein.org.uk and you can also keep up with us on Facebook and Twitter. Please follow, like and share. 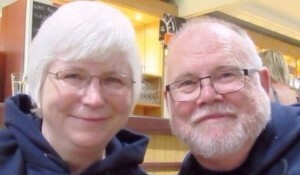 Visit Christine’s dad in St Albans, followed by Prayer & Encouragement meeting of groups in Herts, Beds & Cambs. Do keep in touch and let us know how we can pray for you. We are committed to following government and thirtyone:eight guidelines on safeguarding adults at risk and good working practice, including safer recruitment of workers. Canterbury is setting a world leading example - breaking down social, communication, inclusion and equality barriers - by attempting to become the very first Makaton Friendly city anywhere in the world! Canterbury is hoping to follow in the footsteps of Romsey, which became the first Makaton Friendly Town in the world in February 2018. Canterbury wants to become the first Makaton Friendly city in the world, by May 2020! Please see a good job opportunity from our friends at Through the Roof.